What Are You Reading in 2017? This week, I had planned to share a list of books I read and loved in 2016. One small problem: there were too many. Seriously. I could not narrow them down to a manageable list. I couldn't even pick a Top 10, much less a Top 5. I'm still trying to catch up with listing/ reviewing them all on Goodreads! This is literally my favorite problem to have. Instead, I'm going to share my list of books I can't wait to read in 2017! You know the old saying "You can't judge a book by its cover?" Maybe you shouldn't, but you can definitely decide you want to pick up a book based on its cover! I saw this adorable book on Instagram, read the description, and decided I had to read it. Love is real in the town of Grimbaud and Fallon Dupree has dreamed of attending high school there for years. After all, generations of Dupree's have successfully followed the (100% accurate!) love fortunes from Zita's famous Love Charms Shop to happily marry their high school sweethearts. It's a tradition. 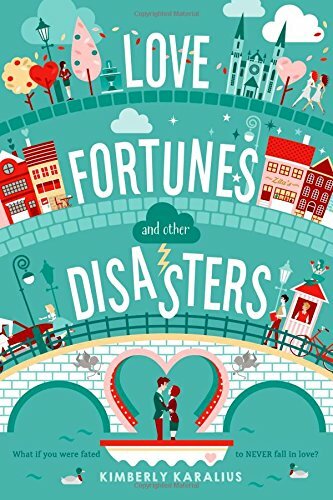 So she is both stunned and devastated when her fortune states that she will NEVER find love. Fortunately, Fallon isn't the only student with a terrible love fortune, and a rebellion is brewing. Fallon is determined to take control of her own fate—even if it means working with a notorious heartbreaker like Sebastian. This was recommended to me on Amazon based on other books I've bought. 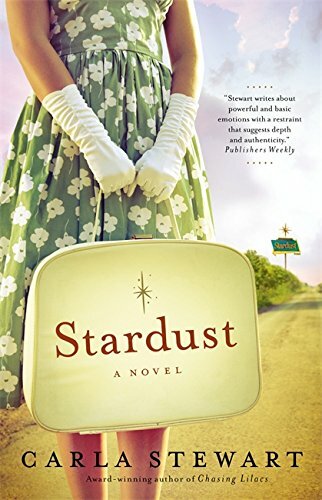 That's no surprise when you read the description: this sounds like a fun Southern fiction novel with quirky characters, new beginnings, and a spunky protagonist. What's not to love? I love watching the Fixer-Upper show on HGTV. 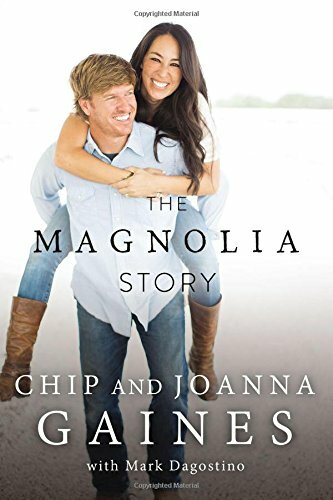 Chip and Joanna Gaines seem like a really sweet couple and they have an amazing ability to create homes that are just right for their clients. I can't wait to read more about how they got started! I saw people posting about this book on Instagram and decided I had to add it to my to-read list! I'm always up for a good love story, so I was hooked as soon as I read the synopsis. Remember my interview with Angela J. Ford? Her love for books is infectious! Plus, she's a great writer: everything from her tweets to her blog posts to her online course is well-written and engaging. It's no surprise that I'm eager to read the book she wrote! 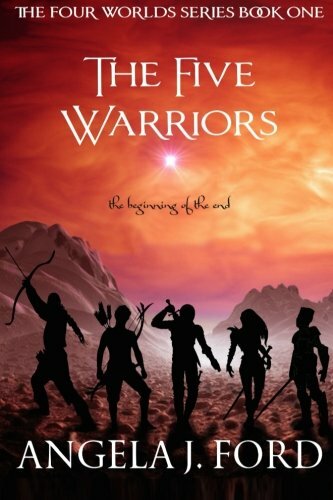 Bonus: The Five Warriors is the first in a series. I love starting a good book knowing that there's going to be more to follow! What books are you planning to read in 2017? 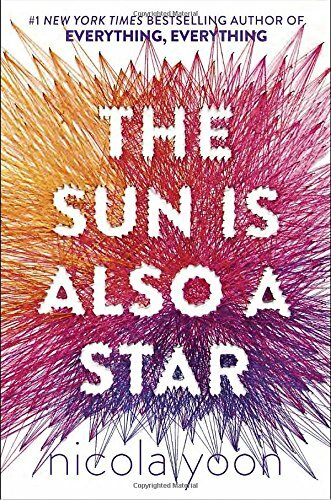 Want to recommend a book to add to my to-be-read pile? Leave a comment and let me know! *Note: the links in this post are affiliates. 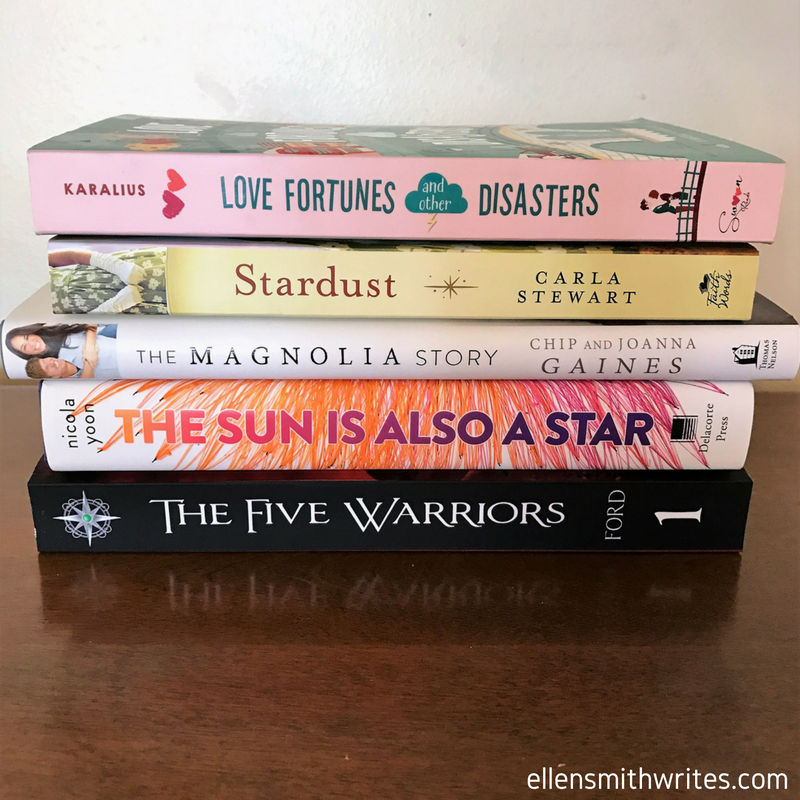 All opinions expressed in my blog are my own--including why I can't wait to read all of these books in the new year! Using affiliate links helps me stay well-stocked in fine-point Sharpies, post-it notes, coffee and other writing essentials. Although we often hear dogs called "man's best friend," I know plenty of women that couldn't live without their canine sidekicks. There's no bond quite like that of a girl and her dog. Personally, I would love to have a dog to share walks through the park, the occasional (okay, frequent) game of fetch, and nights curled up in front of the fireplace. However, due to some seriously unfortunate allergies, the furriest pet I can have is...well, a goldfish. Yep. As much as I would love to have a dog of my own, I have to live vicariously through friends, neighbors, and, of course, books. Here are a few of my favorite stories about a girl and her dog. — Laura Ingalls Wilder, "On the Banks of Plum Creek"
— Jo-Ann Mapson, "Solomon's Oak"
In addition to reading about dogs, I like to write about them, too! The main character in Reluctant Cassandra, Arden McCrae, has a canine companion--and honestly, he's one of my favorite characters! Thor, Arden's Boxer puppy, is playful, mischevious, messy, and always there to protect and comfort Arden. Between dealing with her premonitions of the future and facing her father's rapid decline due to Alzheimer's disease, Arden definitely has moments where she needs some comfort. I love that Thor is always there for her. — Ellen Smith, "Reluctant Cassandra"
So many stories just wouldn't be the same without the beloved animals that populate the pages. Who's your favorite fictional pet? My favorite reading spot is a little green chair in the living room. It has a great view, perfect lighting, a nearby bookshelf, and a little ledge for my drink. What else could a bookworm need? Plus, the chair swivels and rocks, which means I can accidentally make myself seasick if I start tapping my foot during a tense part of the story. Since I’m not the only reader in the household, my favorite green chair isn’t always available. Fortunately, bookworms are adaptable. There’s also the couch, the back porch, or curled up in bed. That last one can be dangerous. If I get to a good spot in the story, I might play the “just-one-more-chapter” game until I finish the book. At three in the morning. If the book’s really good, I don’t care where I am. This is where e-books finally won me over. I like that when I’m on the go, I can have a bunch of e-books at my fingertips, including my current can’t-put-it-down read. Even better: thanks to the Kindle app on my phone, I can now sneak in a little reading while I’m waiting at the doctor’s office or stuck in line at the grocery store. Even though I can read anywhere, I still try to make it to my favorite reading spot whenever I get the chance. I can’t beat an evening curled up in my little green chair, getting lost in my current favorite book. I read because I want to connect. The best thing about my first year as an indie author has been connecting with other book lovers. It’s really true that if you love your job, it will never feel like work – and I definitely love my job! On this blog, I want to connect with you over the books I’m reading and writing. Plus, I hope to introduce you to some of the other book lovers I’ve met along the way. Most of all, I’d like to hear back from you!